Your little princess will look uber cute in black dress and Copper Key 3 pack triple roll cuff socks from Dillard's. This outfit is complemented nicely with black sneakers. 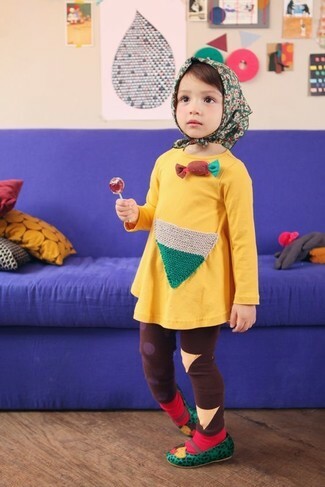 Suggest that your darling pair yellow dress with red socks for a comfy outfit. Green ballet flats are a savvy choice to finish off this ensemble. 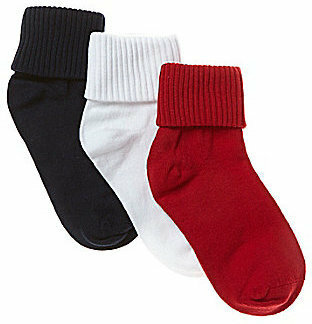 Suggest that your darling wear a red sweater and red socks for a fun day in the park. As far as footwear is concerned, suggest that your little girl throw in a pair of red rain boots.